INNOVATIVE technology is being rolled-out across Greater Manchester and Eastern Cheshire as Health Innovation Manchester aims to increase detection of a life-threatening heart disorder, Atrial Fibrillation (AF). As part of the Greater Manchester Healthy Hearts programme, Health Innovation Manchester has provided NHS Clinical Commissioning Groups with mobile ECG devices which have been deployed to local GPs, practice nurses and practice-based pharmacists to increase detection of AF. AF is the most common heart rhythm disorder and is a common contributing factor for stroke. In AF, the heart’s upper chambers contract randomly and sometimes so fast that the heart muscle cannot relax properly between contractions. This reduces the heart’s efficiency and performance. It can affect adults of any age, but it’s more common in older people and is more likely to occur in people with other conditions, such as high blood pressure (hypertension) or a heart valve problem. Within Greater Manchester and Eastern Cheshire there are thought to be over 17,000 people who have AF but have not yet been identified. It is estimated that if 85% of those with AF were identified and correctly treated, 371 strokes could be prevented, potentially saving 93 lives and £8million in savings to the NHS. Health Innovation Manchester, the body responsible for accelerating the discovery and implementation of innovation into the health and care system, are also raising awareness of the heart rhythm disorder as part of AF Association’s Global AF Aware Week (19-25 November 2018). 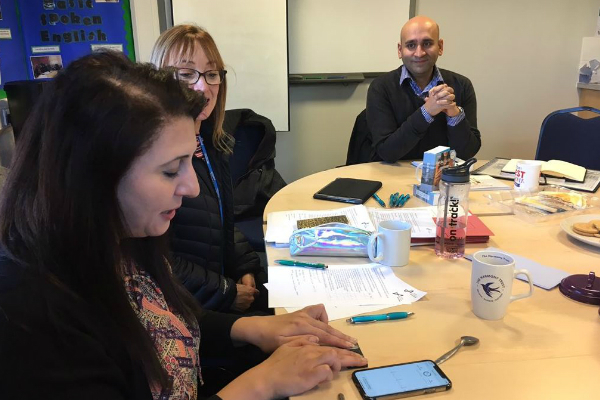 A PIONEERING approach to improve detection of Atrial Fibrillation (AF) has been launched in Oldham as a group of mums are using a potentially-lifesaving mobile heart monitor to test those in their community and beyond. 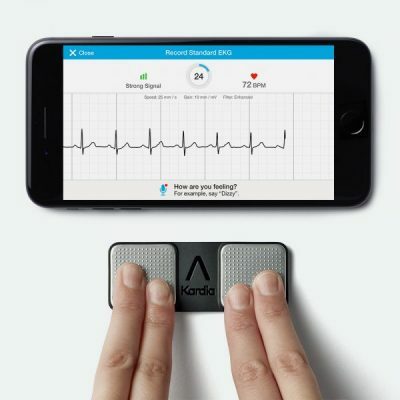 Health Innovation Manchester has provided the Women’s CHAI (Care, Help and Inspire) project with AliveCor Kardia mobile electrocardiogram (ECG) devices, a credit card-sized device which can detect AF, an irregular heart rhythm, in just 30 seconds. 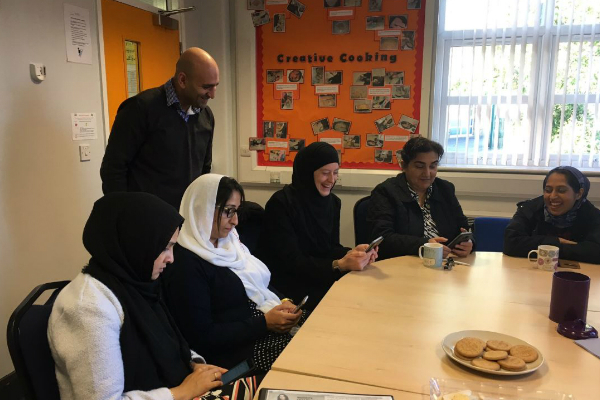 Najma Khalid, founder of Women’s CHAI Project, said: “Before taking part in the training with Health Innovation Manchester, we didn’t really know anything about AF or why it was such a serious condition. She added that since taking part in the training and receiving the devices just a month ago, the CHAI ladies have been busy testing family members, friends and members of the community with two potential undiagnosed AF patients discovered and referred to their GP. 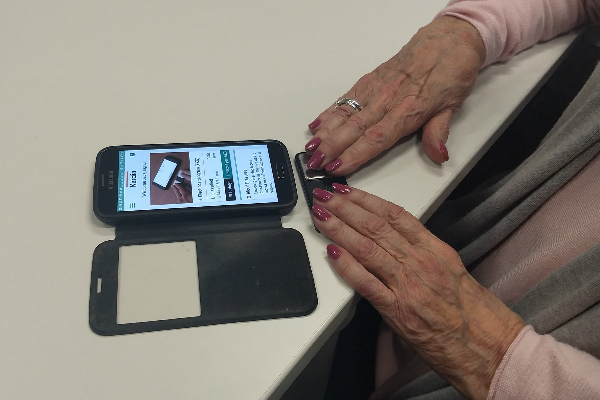 Najma continued: “The device is simple to use and we’ve had lots of enthusiasm about the testing so far. We’re keen to use it to test people at events throughout Oldham and through visits to other community groups and organisations. NHS rolls out new tech in Greater Manchester and East Cheshire to prevent 371 strokes and save over £8million. 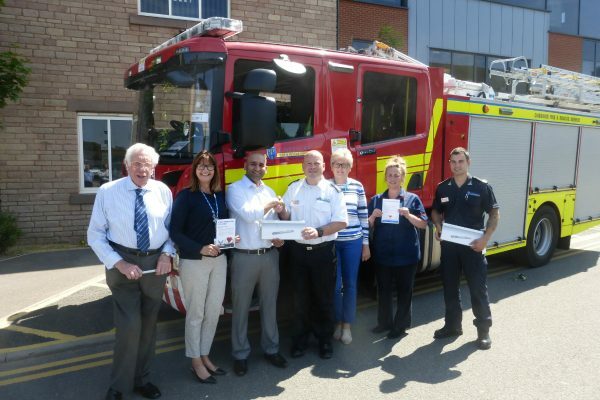 Firefighters in Eastern Cheshire will soon be adding potentially life-saving heart checks to their Safe and Well visits following the expansion of an innovative project.